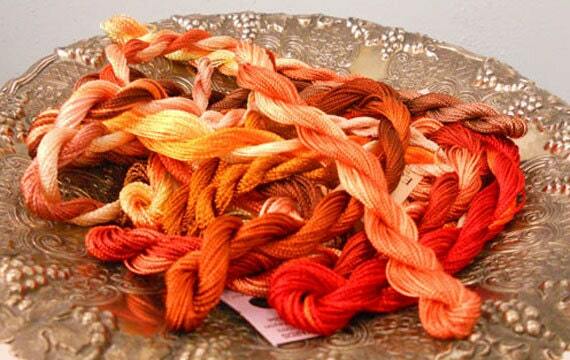 Fiery Autumn Thread Pack of 10 skeins of Edmar Thread. Fiery Autumn Thread Pack contains 10 skeins of thread of Edmar Thread. This grouping is perfect for an autumn project. This listing is for the 10 skeins similar to pictured.